The HB-1030CE has an incredibly low 32cm step height and 62cm minimum platform height. This provides easy-on/ easy-off, all-day access for the operator. 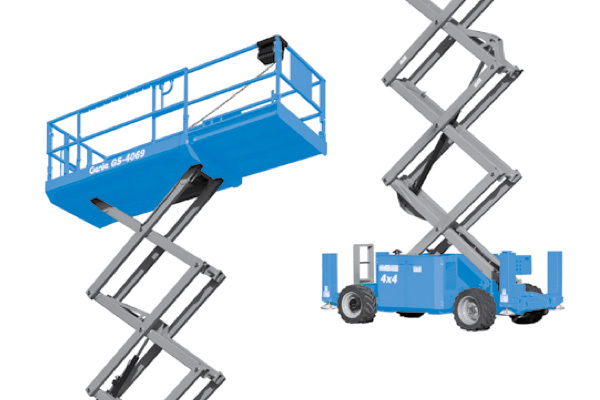 With a platform size of 63.5cm x 152cm, a platform extension of 76cm and a machine weight of 751.5kg, (minimum floor load – 6 kPa), this lift can safely travel on limited capacity mezzanines, computer floors, and is light enough to utilise most personnel-rated building elevators. The HB-1030CE's compact size and ease of operation makes it desirable for use in hospitals, clinics, libraries, office buildings; anyplace where quiet operation is a must. 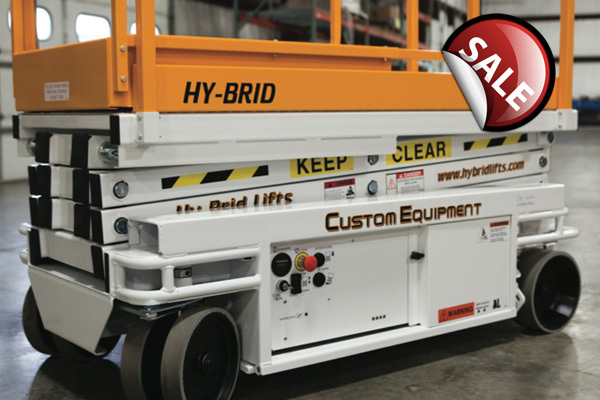 With our long list of standard design features, the HB-1030CE is the correct choice when buying or hiring a lift in this height/capacity category. The HB-1430CE provides a full 6.1m working height and has an incredibly low 0.69m minimum platform height. 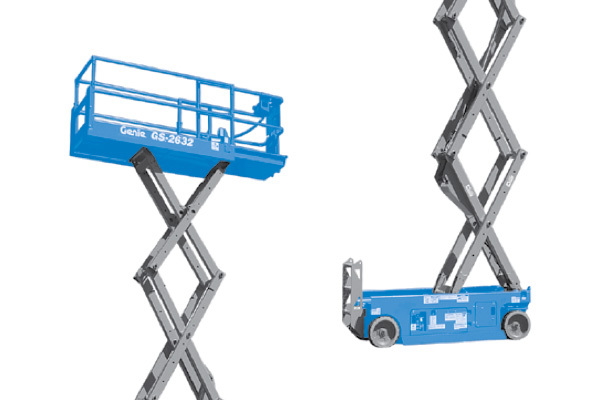 With a platform size of 63.5cm x 152cm, a platform extension of 76cm and a machine weight of 1040kg, (minimum floor load – 7.91 kPa), this lift can safely travel on many limited capacity mezzanines, computer floors, and is light enough to utilise most personnel-rated building elevators. The HB-1430CE’s compact size and ease of operation makes it extremely useful on the construction site and for use in hospitals, clinics, libraries, office buildings; anyplace where quiet operation is a must. 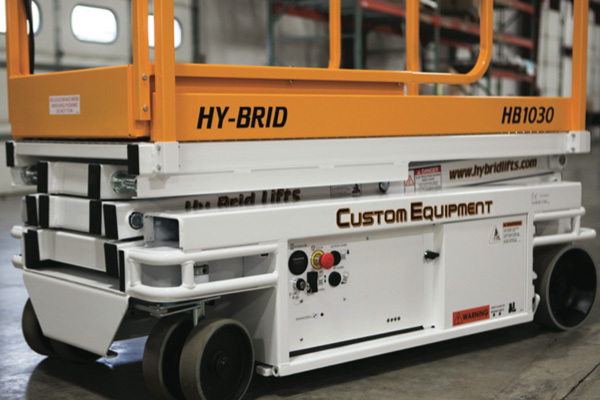 With our long list of standard design features, the HB-1430CE is the correct choice when buying or renting a lift in this height/ capacity category. The self-contained lift hydraulic system (shown above) is designed for trouble-free operation. The HB-1430CE features fully-proportional dual-motor electric drive and electric steering, giving the operator extra-long duty cycles between charges. The HB-1430CE utilises a highly efficient 24 vdc electrical system and includes an integrated battery charger with charge level indicator, descent and tilt alarms, palm button emergency stops, remote raise/lower station and key switch. Our open bay design provides direct access to all critical components. This innovative design feature reduces repair time and helps keep cost down. Non-marking tires, with a unique dual-wheel front steering system eliminates floor scuffing and carpet buckling, helping prevent damage to sensitive and/or decorative flooring materials. The HB-1430CE’s design includes a pothole protection and meets or exceeds applicable OSHA, EN280, and ANSI A92.6-1999 safety standards.